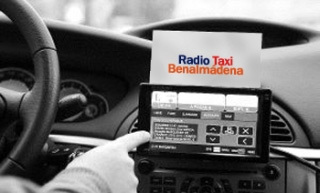 RADIO TAXI BENALMADENA offers a large choice of good standard Vehicle brands and models for your safety and comfort which includes Estate cars, Vehicles with a large capacity, Mercedes and disabled adapted vehicles (Euro Taxi). All our drivers are high experienced and courteous with a good local Knowledge of the Costa del Sol (Hotels, Apartments, Beaches, Towns, etc.). Please do not hesitate to send us any questions about prices, journeys, transport, etc. Estate cars / Vehicles with a large capacity. This service is for passengers who know that they have to do the same journey for a longer time (one week, several days or a month). When this is your case then please do not hesitate and contact our central office to request an arrangement. In the same instant of your booking we will confirm the price, date and time of your pick up.……. These are Wheelchair accessible Vehicles. Please book this service in advance. Please request this service in advance. All bookings are confirmed by email or telephone, no Taxi is booked until you have received a taxi booking confirmation. If you need to transport major objects like bicycles, boxes, etc. please contact our central office in advance. 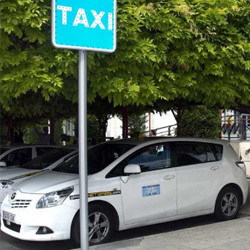 As by the Spanish Normative and your own safety every Taxi has a license to transport a maximum of 4 passengers (Children included) We can provide you with a Child Seat if you request it in advance.